UDHAYANIDHI STALIN AND PRIYADARSHAN’S FILM GETS THIS MAJESTIC TITLE! Actor Udhayanidhi Stalin’s next film after Ippadai Vellum is his project with director Priyadarshan. This movie includes an ensemble cast that includes Samuthirakani, Mahendran, Namitha Pramod and Parvatii Nair. It is being produced by Moonshot Entertainments and Red Giant movies. The latest is that, the title of this film is out and it was launched by Malayalam Superstar Mohanlal. The title is “Nimir” and it sure adds a majestic touch to this film. Nimir’s first look poster might release soon and further updates can be expected in succession from Priyadarshan and team. Nimir's music will be composed by Ajaneesh Loknath and Darbuka Siva. In an exclusive interview with Behindwoods, producer, and actor Udhayanidhi Stalin talks about his work and conversations with Kamal Haasan and also about how the political film, Thalaivan Irrukiran was narrated to him for producing it. It is to be noted that Thalaivan Irrukian is now expected to be kick started once again by Kamal Haasan. Ajith’s Vivegam cameraman signs his next big Tamil film! Details here! Surprise: Yuvan Shankar Raja now teams up for an album with..
Popular and pretty heroine for Navarasa Nayagan Karthik & Gautham Karthik’s film together! Vijay's Mersal is only the 2nd Tamil film to do this!!! Exciting news for Kanchana 3 and Oviya fans! Case filed against Prakash Raj! Kee teaser release date is here! 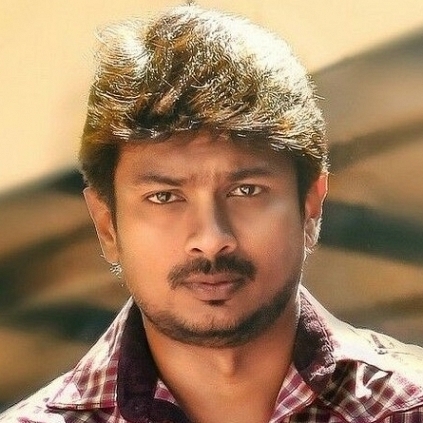 Udhayanidhi Stalin To Release Oru Kuppa Kadhai Starring Choreographer Dinesh And Manisha Yadav. Soori Shares His Funny Moments With Vijay, Ajith & Sivakarthikeyan! People looking for online information on Mahendran, Priyadarshan, Samuthirakani, Udhayanidhi Stalin will find this news story useful.